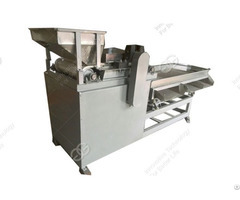 This machine used for slicing peanut, almond, cashew kernel, walnut kernel and other nuts.The machine is made of high quality and high speed steel grinding blade, which is very sharp and durable. 1. Slice thickness can be adjusted according to your need. 2. 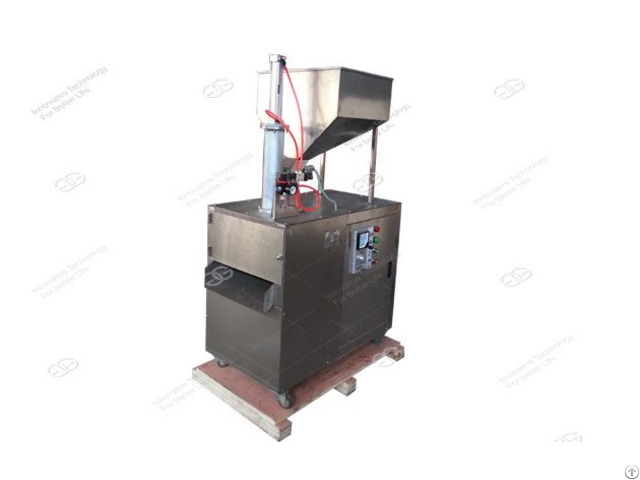 The machine is made of high quality stainless steel and high speed steel grinding blade, which is very sharp and durable. 3. The fuselage cover is made by stainless steel plate, beautiful and easy to clean. 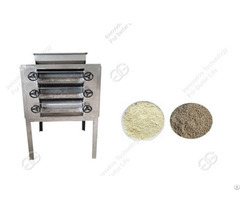 4.Equips with pneumatic feeding device and chipping device. 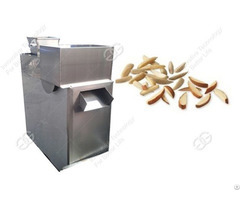 Firstly put the nuts into material inlet, then nuts will be pressed into cutter for chipping.